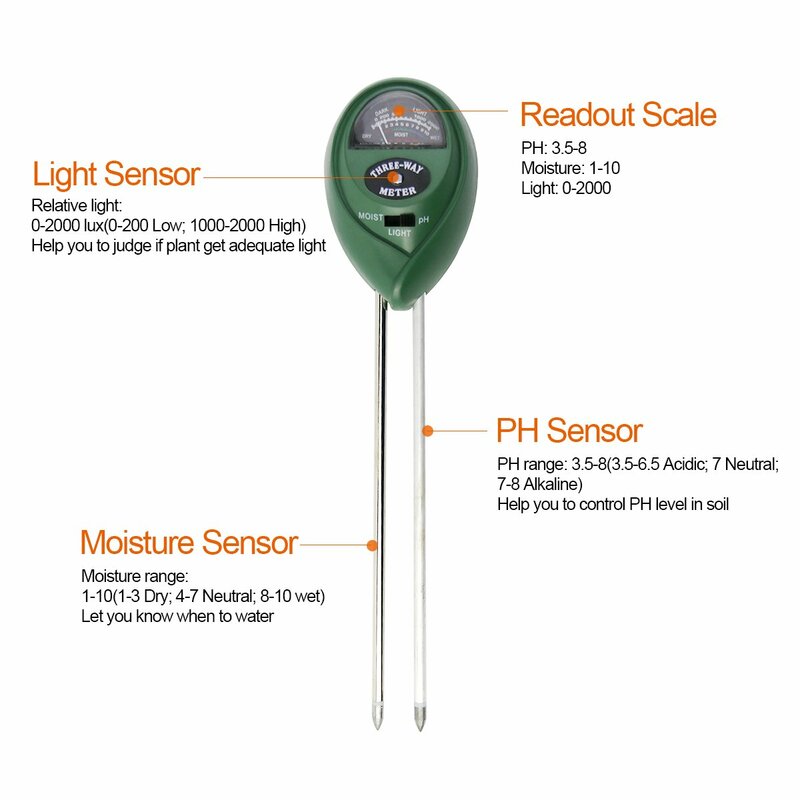 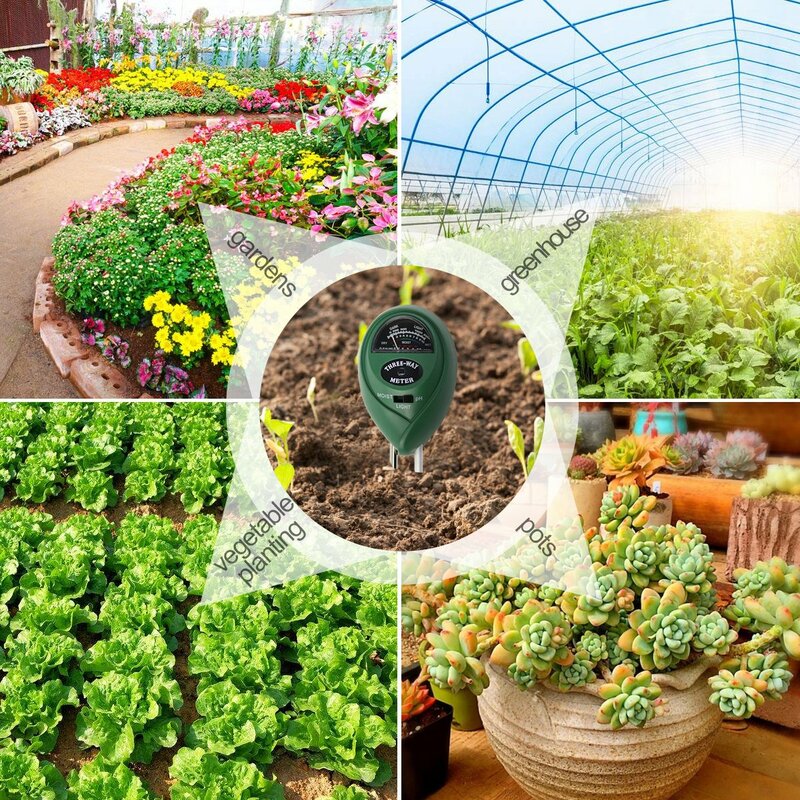 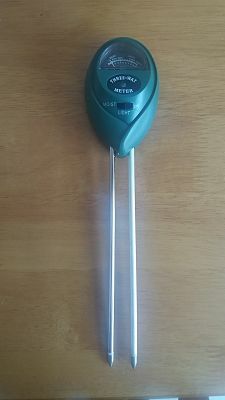 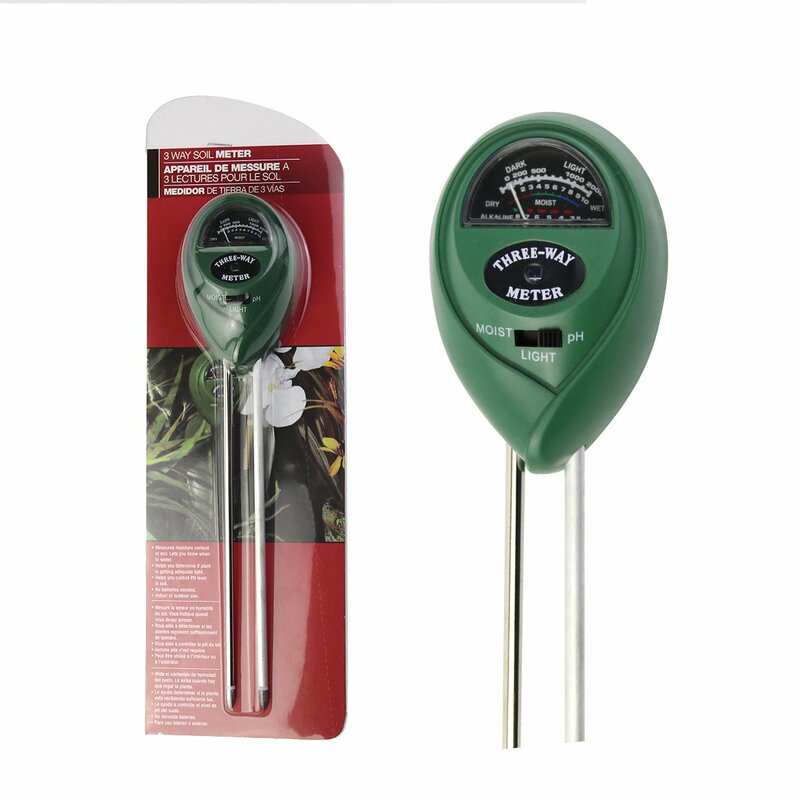 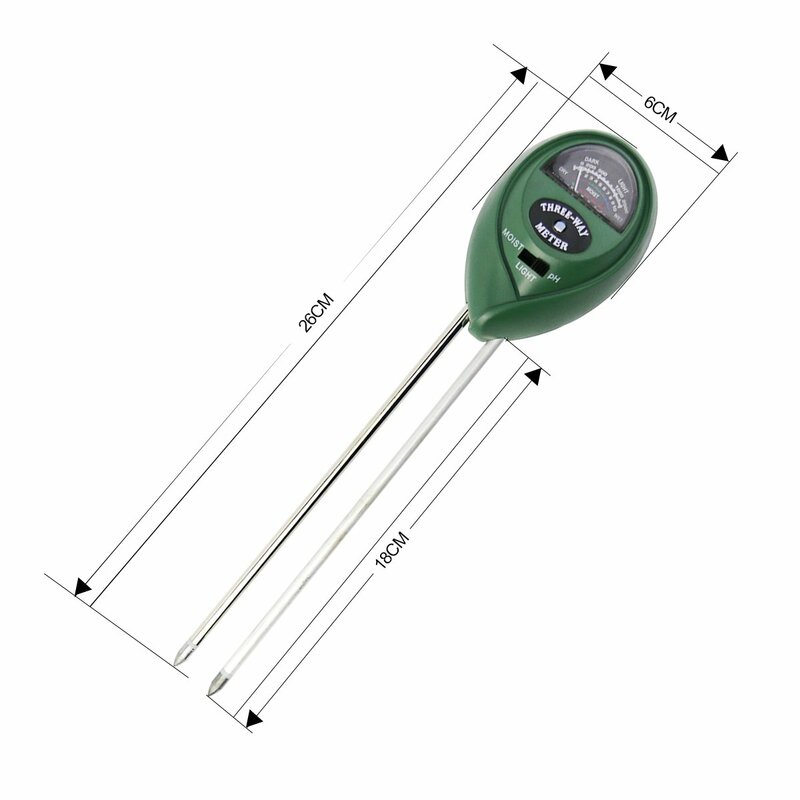 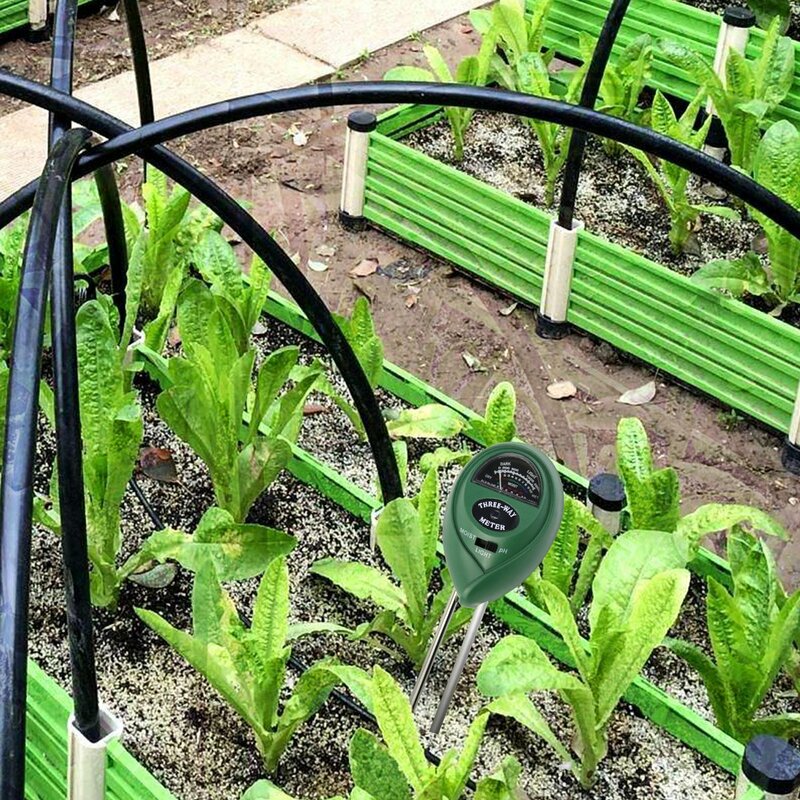 will read the soil Moisture, PH and Light levels and is exstremely easy to use , place the two probes into soil around 2 to 4 inches and wait roughly 10 minutes and have a look to see how dry the soil is , then switch the button over and it will tell you , your PH level and how much light it gets . 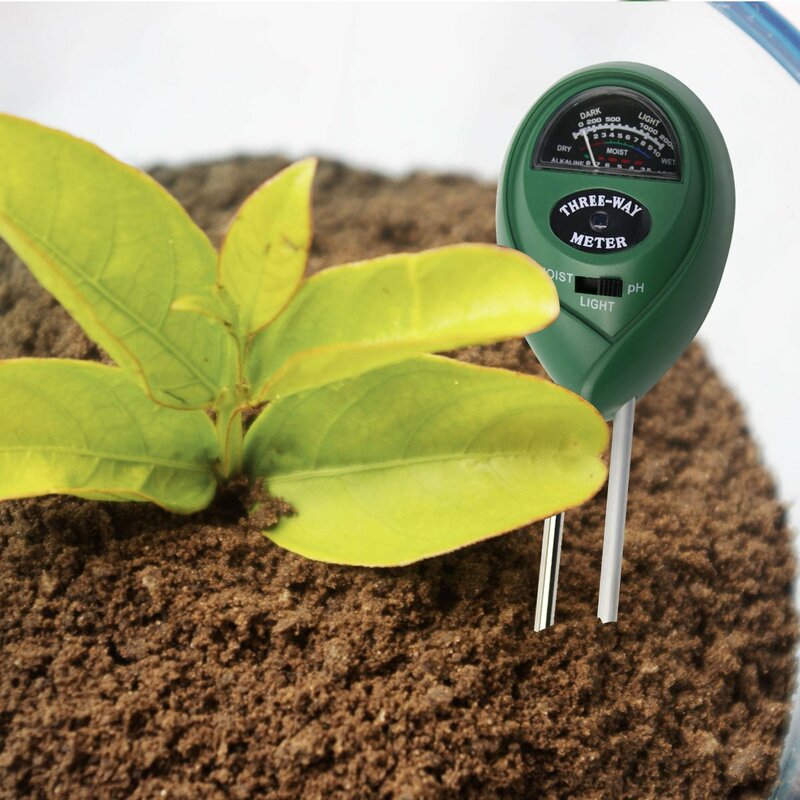 Now you can place your plant into the correct soil and also tell if it needs watering or needs a little feed. 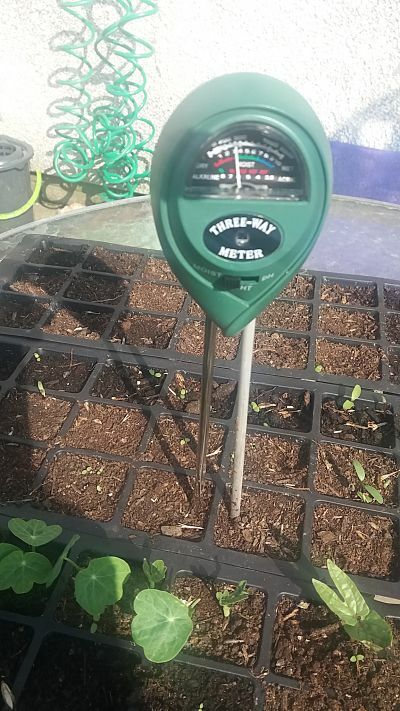 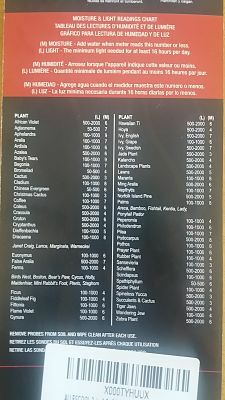 on the back of the packet it has a quick guide to plants and what ph levels they prefer , so you can test your garden soil and know if your plants need extra help or not .